A brochure site for Canadian photographer Sarah Silver. 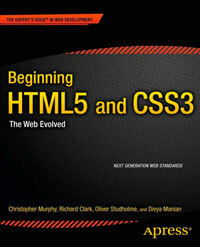 The site uses new HTML5 structural elements and the code shows a good understanding of their use in the static pages. The journal part of the site would be better as individual articles, and the type attribute can be removed from the stylesheet link and script elements. For performance it would be best to move all the JS to the bottom of the page. An even better solution would be to use yepnope.js to load modernizr as well as on-demand scripts. Less HTTP requests.